A 35.27-carat cushion cut grayish-blue diamond. Not much is known about it. 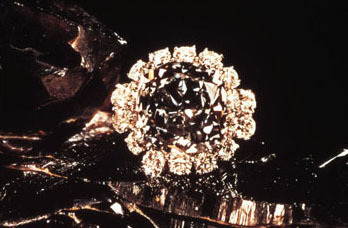 In 1969, Cartier lent this diamond to the New York State Museum for their World of Gems Exposition. In 1972 it was sold to a private American collector. It is the fourth largest blue diamond in the world after the Hope Diamond. The 35.56-carat Wittelsbach Diamond is one of the others, so is a 42.92-carat blue pear shape known as the Mouawad Blue.